The HP s7540 has been discontinued. No direct replacement is available. 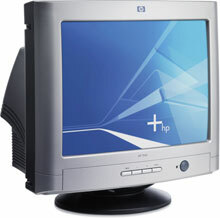 The HP s7540 Monitor is an economical, 17-inch CRT that offers excellent front-of-screen performance and is ideally suited for both general use and for point of sale applications. The s7540 monitor is a solid PC companion for small and medium business and corporate users.